Call Dawn to join today! Want to learn how to wow your prospects? Practice your pitch at the Elevator Pitch Competition! You don't want to miss this dynamic conference led by prominent female community and business leaders! Specialists will be available to answer your health and wellness questions over breakfast. Special guest Anan Abu-Taleb, President of the Village of Oak Park, speaks with Sandra Sokol, former Village Clerk for Oak Park and long-time member of West Side Women, at our One Year Anniversary Meeting on March 3, 2014. This group was created in 2013 when Austin Weekly News and Wednesday Journal saw the need to help bridge the gap between the city and the suburbs. This free networking group has over 300 members representing a variety of businesses across Chicagoland. All female professionals are welcome to attend. The group meets the first Monday of every month at 8:00am at Alice's Restaurant, 5658 West Madison Street in Chicago. Women empowering women for success through networking, resource sharing and leadership development. Creating opportunities for diverse women to build relationships and inspire each other throughout their personal and professional lives. 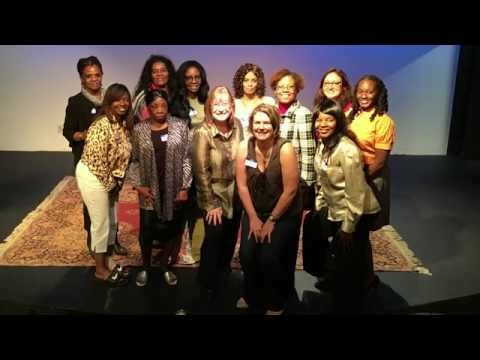 Utilizing networking meetings, resource fairs, educational forums, and social gatherings and word of mouth to bring together women of all ages and socioeconomic backgrounds using local media as a vehicle. There is no fee to join, we just ask that you consider purchasing your own breakfast to support this restaurant. See Video and Photos from the first West Side Women's breakfast here. The Austin Weekly News' West Side Business Network has started several Event Planning Committees in order to support the Network's mission of bringing professionals together to make connections and improve our community. Increase your business references while having fun! Joining an event planning committee will be an educational experience to add to your repertoire, plus you'll be providing the public with access to much needed resources. Let your business expertise benefit the communities you love! Dear Crystal, you are such a sweetheart! Thank you for gracing us with your love and light at West Side Women! Kudos to all the Westside Women Leaders who are meeting to network and make our community the best !!! It is a pleasure seeing you all on the first Monday of every month !!! Dawn you are doing a fantastic job....!!! Dawn, I had a great time at the last meeting in April. Looking forward to May breakfast while connecting with great people. Thanks you. Thanks for the opportunity to connect! "Connecting women from the west side and the suburbs" is a cool mission. Please know that I truly appreciate you, and admire your connectivity! Thanks for the recent invite to the breakfast. I saw a picture of myself, didn't realize I was being photographed. I actually looked pretty pensive. I love it. Very smart niche. Dawn thanks for the links this is great information we will pass it on at community events. What a great event! I enjoyed meeting all the women and learning about their business. Can't wait till the next event. Windy, we really, really missed you. Please come on April 1st! Hello Dawn sorry I missed it in Atlanta. See you soon. Great turnout! This type of networking event is needed. It was wonderful meeting you in person at the Women's West Side & Oak Park Area Networking Group meeting for March. I had a great time meeting the many inspiring women that are creating change everyday locally! I was able to network with quite few people that were interested in utilizing my project management and community outreach experience for their organizations. I am very excited for all of the projects I may be working on in the near future!